This year's Toy Drive for Pine Ridge radio event will be a live, on-the-air, simulcast, musical homage to the musicians who died in the last 12 months. 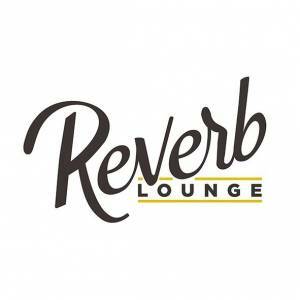 The peformance will be broadcast live from the Reverb Lounge, on KIWR's Pacific St Blues & Americana (89.7 fm). Sunday, December 10th from 9 a.m. to Noon. Guest star: Mato Nanji (Indigenous). Local artists include: Lash LaRue, The Firm w/ Jim Morrow, Bill Eustice and John Foley, Tim Kohem & Sondra Clark, Lou DeLuca, Jon Pearson, Joe Putjender, Brad Cordel, Michael Campbell & Laura Leininger-Campbell, Jeff Koterba, Belles & Whistles, Hector Anchondo, Sarah Benck & Rex Granite, Jason Birnstihl & Otis XII, Joe McCarthy, Michael Lyon, Brad Hoshaw & Matt Whipkey, Tom Becka, Gunnar Gunette & JR Rogers, Cory Anderson, Devon Fulton, and YOU!? A free brunch will be served! (Please) invite your facebook friends. Also, WIN a 100 CD blues & Americana blues collection just for listening on the radio. More details on Pacific St Blues & Americana. Please note: the CD collection winners must pick up collection from the station. Listen to Pacific St Blues & Americana for more information.